TalentLMS is a super-easy, cloud LMS to train your employees, partners and customers. "What I like best is the high level of configurability"
Thank you for the great review and the comprehensive feedback. We’re delighted that our extensive customization features have fully met your requirements. It’s also great news that you’ve found TalentLMS to be one of the most feature-rich learning management systems out there. Please add any suggestions on content authoring to our ideas base for our tech team to see. 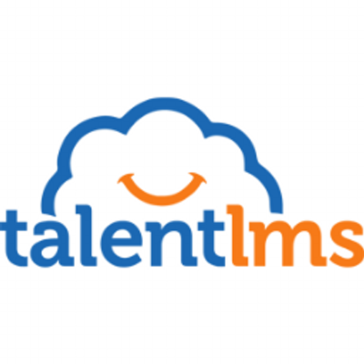 "Great LMS with powerful features"
TalentLMS is a very reliable platform with 99.9% uptime. It also has all the features and tools to meet the needs of small businesses as well as training or HR departments of corporate clients who need a robust LMS. I did look at several LMS solutions before I decided to go for TalentLMS over 3 years ago. Their affordable pricing structure make it a great value for money considering the features the platform has. I would like to see the guys behind TalentLMS to do some major improvements to the user interface to make it more modern looking. The way the course landing pages look is very basic and outdated. Whether you need an LMS to sell and deliver your online courses, or provide training & development solutions to organizations or train your own employees, you can rest assured TalentLMS will deliver. Features are great and pricing is affordable. I sell online courses to individuals and organisations. I have a Wordpress website as the main hub but TalentLMS is where all the courses are hosted and delivered to clients. What Learning Management System (LMS) solution do you use? "An excellent quick-start in the LMS world"
Our company needed to quickly implement specific trainings for our growing portfolio of customers. TalentLMS immediately established itself by its ease of use, both for administrators and students. TalentLMS allowed us to deliver new and customised trainings in a record time, at the great satisfaction of our clients. So far, we have not met any situation that we disliked. TalentLMS is an excellent solution to set up quickly a LMS whatever the size of the audience it is destined to. All of this at a reasonable price; return on investment is almost immediate. We support leaders and teams who are ready to embark on an authentic transformation journey to improve their overall performance, combining as much as possible the improvement of employee well-being, societal impact and financial results. We provide to our clients new tools, new processes and new mindsets in order to achieve the transformation journey as quickly and smoothly as possible. The benefits we get from LMS is that we manage to deliver our high quality services in a record time with a high satisfaction rate from our client. Hello, Christophe! Thank you very much for sharing your positive experience and the many ways TalentLMS has helped your business deliver quality services to your clients. It’s fantastic to hear we’re doing a great job. Thanks! "Engaging and interactive learning platform"
TalentLMS is a secure cloud based learning management system that is adaptable to effectively deliver learning content and transform learning spaces to make learning fun, engaging and interactive. The platform is easy to configure, user friendly, easy to navigate, and you can upload various content types/formats with ease. In addition TalentLMS has very robust reporting capabilities to track and monitor the performance of learners, allowing the Instructor to focus on trouble areas, and concentrate on those who perform below the expected standard. All this at affordable and competitive pricing. Simply choose a plan that suits your specific requirements, and only pay for the features you need. Excellent support from the Customer Support team. Lack of retake for the assessments in case a student wants to retake a failed exam. System already provides the answers. TalentLMS is a modern learning management solution. I recommend that you try it, you will enjoy its features. it is second to none. Effective delivery of learning materials, at a very competitive price. Hi Tamuka! Thank you for the positive feedback on our platform and our awesome customer service. We’re very proud to have created one of the most feature-rich and affordable solutions in the market, so we never get tired of hearing about it. Regarding retaking assessments, there's an option in "test options" to show correct answers only when someone passes the test or you can disable this altogether. You can also set the number of attempts to retake the test when someone fails and the best part is that you have reporting on all attempts. Thanks again, and remember that you can send your suggestions for making TalentLMS even better to our support team. "Very easy to build courses through this tool"
I like each and every feature of this tool such as building professional looking courses in minutes,there is no need to backup your data as it is cloud-based Learning Management System. It also comes in mobile app supported by both iOS and android devices.I am also able to import and export data from one place to another through it.But one of the most productive feature which I liked is that one can sell their courses by giving access to your courses to only those users who had subscribed for your course through monthly fees. I am still using this tool for teaching online courses and I haven't faced any difficulties in using it till now.In spite of it as I am using a free plan which has limits on building courses i.e. 10 courses.It makes difficult in continuing working on it. As I have already mentioned I have very little experience with this tool.So my recommendation might not be much effective,but since I am using it till now I have not face any issues.It is very easy to work on it and customer support is also better.Hence,I would recommend to use at least free trial of it. "Best and affordable tool for online courses." It provides stable platform to work upon and is quiet easy to operate.One of the thing which made it distinct from all is Mobile Learning Support which is available in both online and offline modes.Teachers can upload courses,they can keep track of the attendance of students and they also can consume online video content.Course can also be backed up so that they could be used in future. Best way to make teaching better and easy.Numerous of features helps in getting work done very easily and effectively.Students are able to learn with proper understanding and can also fetch courses easily when required.Attendance Tracking also adds lots of convenience to work. I am using it as a online platform for making my students learn by building courses on it.It is very helpful in teaching as It can reduces your work by two times and makes students taking more interest in it.I am also able to perform live classes on it by scheduling the lectures on various topics. "A robust and flexible platform that takes so much into consideration!" The team behind TalentLMS understands the vast diversity in tools, technology, methods and styles in corporate e-learning. This is very important especially as we grow our training business. As more clients come in, they usually have their own unique preferences in how they'd like the training to be laid out and the tools that they would like us to implement. So far TalentLMS has been able to support everything we've thrown at it. We take full advantage of being able to implement powerpoint presentations, webinars, xAPI, multimedia, custom paths for different groups and learning styles and the message boards. All without ever having to write any code or work with a technical developer to achieve our goals. This is a very impressive platform. We've been excited about the release of the TalentLMS app; however, there seems to be a bug that prevents any text appearing on pages that include embedded videos. This is preventing us from being able to promote the app to our clients because we have designed our lessons to include multimedia and text as part of the learning experience. Hopefully this will be resolved soon and we can push the app. We highly recommend TalentLMS as it is the easiest and most robust platform that we've seen. We see the potential for it to become even more user-friendly as time goes on and therefore trust that is the right investment for our business. TalentLMS has opened an entirely new avenue of opportunity for our business. We started off with a program that we thought could be used for a variety of businesses but quickly learned that every client is unique and requires some degree of customization. TalentLMS allows us to react quickly to the changing landscape of e-learning methods and the learning styles of different people. "Super easy to use, flexible pricing"
Extremely easy to use, as either instructor, admin or student. The set up is intuitive, and the use by students is intuitive. Also, TalentLMS supports content exported from Articulate, which was highly influential in our decision. Even the course catalog looks great - no need for extensive customization of a new system you don't understand - it just looks good. I also like the ability to use a custom domain (requires SSL). Configuring the SSL was a bit of a mystery but their support was responsive and helpful. We got it solved. If you need a system that will host Articulate content, this works extremely well, and it's easy to upload. Pricing is extremely flexible and based on how you need to use it. When you have more students, you can grow into a more expensive platform. Training of our organization's representatives, as well as training we do for our industry. "Easiest way to create Courses for Students"
The best and the main purpose of building this teaching tool was easy to create stunning and captivating software.This tool allows you to do so at very easy and also includes feature of getting reports of the course made taught. The look and feel of working on it as a Instructor is on next level. Offline feature of accessing courses through mobiles are very helpful. Hi, Harsh! Thanks for the positive rating and sharing your thoughts on TalentLMS. Regarding non-registered users, you have the option to enable the External Course Catalog (on your Accounts & Settings page). A link to the course catalog (i.e., [your-domain]/catalog) is immediately added to your log-in page for any visitor to follow. "Homeschooling LSM a never ending Story"
The stable platform in itself. The sophisticated system and its possibilities. We do not have to adapt our ideas to the portal, they are easy to implement. The security for our learning content and our customers. We settle only at the beginning, and after nearly a year we can say that we will have a long journey ahead of us. This with a strong partner on the side. OK. now it gets harder. Of course, there is always something that could be better. But the talent LMS people do their best to make us happy. Asking questions always comes with a helpful answer. So what do you want more? Just try it for a while is certainly wrong. You should really take your time. Other systems require a lot of experience in IT to get set up. This is also possible without the need for an IT degree. The tools are constantly adapted and improved. We tested other portals for over 3 months before choosing Talent LMS. Then we chose Talent LMS and have not regretted it yet. Not only do we bring learning online, we also manage to combine learning content from different areas or systems through our many tools. From the beginning, we have the ability to provide students / parents and teachers with a secure platform to communicate, work and learn together. We are sure that we have not exhausted all possibilities yet. Hello, Daniel, thanks for the positive review! We’re delighted that you’ve used TalentLMS to “provide students, parents, and teachers with a secure platform to communicate, work, and learn together”. I think the product is really intuitive (for both the learners, and the instructors/administrators). There are some things that are a little quirky, but by in large things work the way you'd expect them to, and we don't need to train people how to train with us. The product is also much more competitively priced than many other vendors, while having a greater feature set in many areas. There are some limitations in the events and automations area, specifically, that I wish were improved upon. Email notifications are limited in terms of the types of information that can be added as merge fields, as well as their styling - which is plain text only. On the automations side we'd love the ability to say "on course X assignment, assign course Y" but this is not present - only on completion. This is just one example. These are not show stoppers, but this area could use the most improvement. Product is a tremendous value, certainly more feature rich than many competitors in the space, but more straightforward and cost-effective in terms of pricing and plans. We wanted to provide customers access to product training online in a self-paced environment. We've extensively customized all aspects of the portal (which is easy to do if you have someone good at CSS and API connectors) and now provide both a la carte and subscription access to customers. Alongside other purchasing improvements we've introduced, customers can now purchase and complete training without intervention from our admins. Moreover, we've heard tons of positive feedback from customers on the ease of use and format that Talent LMS has afforded us. We’re delighted to know that you’ve found TalentLMS to be more feature-rich and cost-effective than most competitors out there and that your users are so happy with your eLearning platform. Thank you very much for your positive feedback. As for your suggestions, feel free to add them to our ideas base for future review by our tech team. "Standard settings are just fine"
The lms is very easy to setup (after looking at the instruction video’s for an hour, I could start with the system settings and uploading video’s). Talentlms made exactly the right choises for me (I don’t have to choose from many options). The build in webinar option (and the option to user other webinar providers) so that I can concentrate everything on just one website. The possibility for linking to my own domain. The build in webinars are restricted in time and participants (I am not sure if I will be able to plan one on the day and time that I prefer). I would like to have an extra level within courses (fi: I have a training with 12 lessons and 2-5 video’s per lesson. I now defined the whole training as a category and made 12 courses (lessons) with the video’s and pdf’s). Just do a free trial and see if it works for you. I do personal development via live training and coaching and my cliënts wanted a way to repeat and refresh what they learned. I do Online Live Sessions (webinar) every 2 weeks and produce an online training to it. This way I’m building a great futureproof online academy with a lot of courses for personal development. Hi, Jos, and thanks for the thumbs up. We’re happy to hear that you’ve found TalentLMS to be easy to use and intuitive. To address some of your issues, keep in mind that by default TalentLMS is integrated with Big Blue Button which allows up to 20 users however for more participants you can integrate with your own conference tool such as Zoom, GoToWebinar, GoToMeeting, GoToTraining. In terms of adding a level in courses, you can always use “Sections” within a course or you can always group courses together and link them so that one course is made available after another one is completed (availability rules). "A straightforward and sophisticated LMS at a price you can afford." Ability to white label and customize. Quality of answers and speed of support team. Out of the box support for long-tail languages like Greek and Romanian. Look and feel needs improvement. Scorm content from our authoring tool needs to be better integrated. Secondary features, like gamification, need to be simplified and streamlined. Internal marketing tools need to be upgraded. TalentLMS is an honest product and a good deal especially if you are just starting with e-learning or you operate in smaller, price sensitive markets. You will find enterprise features, without the cost of enterprise solutions, abundance of help to implement them and language support that is superior to most other solutions. This way you can direct your investment in set up to areas that improve the user experience, like aligning the look and feel if you use 3-rd party authoring tools. Our business needed an LMS to deliver e-learning solutions, with best-in class content, to our clients. Being based outside of the US ecosystem, we found that most solutions that satisfied our requirements did not provide proper support for languages other than English and had unrealistic price points for our markets. In TalentLMS we found a solid solution, that covered our baseline needs at a per user cost that made sense. Hi Nikos! Thanks for the comprehensive review! We’re delighted that you’ve found TalentLMS to be “straightforward, sophisticated, and affordable.” It’s what we strive for exactly :) It’s also great to hear that our support team has been excellent in helping you with your project. As we constantly work on making our LMS better, current, and more functional, we’d appreciate it if you added your suggestions to our ideas base. Thanks again, and good luck with your venture! 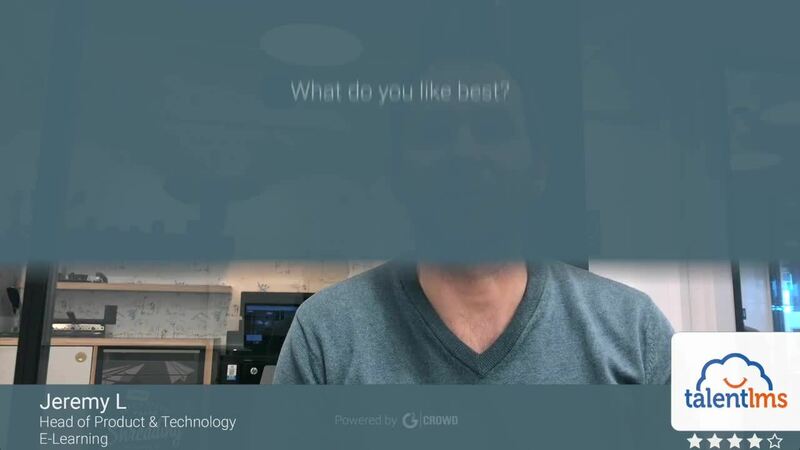 "The best customer service I have ever met"
It is sad to say, but most of my TalentLMS's users are a little technologically challenged (including me, believe it or not). Less than 24 hours after launching the LMS to over 250 users (and counting), I start getting loads and loads of more or less legitimate, or serious I shall say, complains. From "how do I get this thing started?" to "Why I cannot use this to watch the latest episode of S.W.A.T.?". TalentLMS is good, no doubt about it. But to be honest, so far, my experience with its customer service is even better than the software itself. It is like getting an ice cream and after accidentally licking the hand of the guy who served you the ice cream you realize the guy's hand tastes better than the ice cream itself. Very awkward and disgusting. But it works for TalentLMS. I do understand the reason why the developers left it simple, but I truly believe that the app needs major improvements and more functionality. Most of the work nowadays is done on the move. Definitely a good LMS to consider for both academic and corporate needs. Online education for college students. Matteo, hi! Thanks for such a great review, it definitely put a smile on our support teams' faces! We’re thrilled that we have been more than up to the task of resolving all your issues quickly and efficiently. As for our mobile app, we just released a brand new improved version and rest assured we’re constantly working on making it better and more functional. Thank you! "Flexible and easy to use"
I love the flexibility in the different testing questions that you can create and the way that it is so easy to create content. I would prefer to be able to enter more custom HTML - the editor strips out some of the code I add. Also the UI is not always intuitive - when you have to scroll PDFs or Dropdowns in chrome there is no obvious indicator to show that there is more content below. I evaluated lots of different tools and started to implement on Brain Cert. Ultimately we chose TalentLMS because it interface was more modern and the options more flexible. We want to provide online training for our clients. We are just starting down this road and TalentLMS provided us with a simple to use platform at a great price point to get started. Hi Arnold! It’s great that you’ve picked our platform out of the many you’ve tested. Please add any suggestions for improving TalentLMS to our ideas base. The content creation could be made easier - via drag and drop etc. A lot of the time the ease at which we can create beautiful UI is not entirely ideal, with custom CSS required in a lot of instances. A great opportunity to manage all LMS needs. Its adaptability can make it a great product for a whole host of use cases. The way that our interns learning objectives and courses are scheduled and provided with content, and the way in which this process is managed, and the way in which we can determine if they have completed the content. Hello, Will! Thanks for taking the time to review TalentLMS and for sharing your positive experience. It’s true that our solution is highly adaptable to all types of training scenarios, and that’s something we take pride in. Please, check out the drag-and-drop function on our content pages and stay tuned for our upcoming UI/UX improvements. Many Thanks! "Brilliant, with no prior knoweledge of on line training programs I found Talent LMS to be the best." Ease of use, Ive been training for over 20 years and this was my first venture into LMS software, At first the numbers of providers was staggering, but I began the process of trials, TalentLMS came out tops for me in every one of my criteria, my aim was to tray, as closely as possible, replicate the training I deliver in the classroom.. I cant say there is anything I dislike, I'm hoping my students will say the same as the first course has just been launched. Just try it, you wont be disapointed, especially if like me, Im 67 and thought this would be beyond me. You are limited only by your own creativity. We now have a growing need for providing training overseas, and this meets all our requirements as well as keeping costs of sending books and literature around the world. It is envisages this will help grow our business worldwide. Hi Brian! We’re thrilled that you have selected TalentLMS after taking many learning management systems for a trial spin. Ease-of-use and simplicity are what we’ve been striving for since the beginning, so it’s great to know that, with no prior experience, you were able to make the most of our platform. Thank you for the enthusiastic review and best of luck in taking your business worldwide. "Great tool - clean interface and easy to use and responsive customer service"
I like the interface as it's customizable and easy to use from a customer perspective and admin perspective. I have gotten a lot of customer support at different times and they have been very responsive. I love that I can create unique branches for each of my clients so they can get access to the courses they have purchased licenses from me. And, I love that they have gamification with leader boards and levels and badges. The only downside is I can't create different gamification rules for each client. Once I set gamification, it's across the board. They mentioned it would be too complex to setup but they are continuing to look at the feasibility. They are always open to hearing suggestions and making updates where it makes the most sense. Definitely check out the trial and see how you like it. Creating a hosting platform to host my E-Learning courses for my Corporate clients. Jean Marie, hi! Thank you very much for the kind words and the positive feedback. It’s great to hear that you have found our product so easy-to-use and our restless support team has always been there to cover your needs. "Getting to know the company"
I just started in a new company about 2 months ago and this is a work from home job, so I had to use Talent LMS to get up to speed and know how the company's process works. I spent around a month of continuous training in the app learning all the different aspects of the company and this app as well. All of the content I watched was tailored by several individuals in the company to ensure that I was being taught what I needed and not random to everyone. So this means that lms has different profiles set up and that each one sees different trainings based on what role we will fulfill. I liked the way the app handled all my progress and there were always certain peer reviews when I reached milestones. I also liked the way the site has gamification built in so that even if I was the new guy I could compare myself to others in my same role. Can't say I dislike anything from this application. The solution TalentLMS brought was that I was being trained with relevant information with minor participation my manager, this means that he had more time to do work and only needed to sit down with me to answer questions and feedback, no need for him or another peer have me all day explaining stuff. "TalentLMS easy enough to manage and powerful enough to meet our needs." I like the easy customization capabilities, the ability to growth with the LMS and the responsivecustomer support. I dislike how an issue which is important to us can be downgraded and place in a que whereby you must be the one to initiate the follow-up. Do utilize the useful knowledge base and video training. The software company that hired me as their Instructional Designer, did not have an LMS platform in place. The company spent hundreds of dollars and man hours re-training customers' employees, usually in-person. It was crucial that I was able to get up and running with an LMS soon after employment. TalentLMS easy setup and ease of use allowed me to bring the company into the digital age of e-learning. One feature that particularly impressed me about Talent LMS is that they provide a really good tour of all the features provided so that you can make the best use of all that is available. This makes the orientation to the website really easy. It is easy to share all classroom related content to a large number of students and also keep track of their progress through this. I think it is a great place for creating an online class or a study group, as it also allows you to upload documents in various formats common to university students! I do not like the pricing structure of Talent LMS. You can only add upto 5 users in the free version, and that is not really helpful for a big study group. The paid version can be quite expensive for connecting with just a couple of students. With the right pricing structure, I think Talent LMS would be great for everyone to use. However, if you are unwilling to pay about $30 a month for this, then do not go for it. I use it to publish course materials for an online class, and a study group at university for my students. I often post class lectures and notes through it, but sometimes also use it to look at some training modules for myself. It is definitely a good place to keep everything organized but has its own drawbacks as well. Thank you for taking the time to review TalentLMS! We appreciate your feedback regarding our pricing, we do try to offer as much flexibility as possible in terms of our pricing, by offering a combination of standard and unlimited user plans as well as a forever free plan which is usually not offered by most of our competitors. If you'd simply like to share courses and material with your learners without keeping track of their progress, we even offer an option where you can share a course publicly with as many users as you like (http://support.talentlms.com/knowledgebase/articles/136673-how-to-share-courses-with-end-users) which could be a good workaround with what you're trying to achieve. If you require any further assistance, our support team is always available and happy to help! A better way easy to presentations and videos or a large range of online stuff with our social integrations. Create wonderful courses with tiny effort. Very simple and clear analytics about anything that happens in our learning environment. I don't receive any bad problems during the practice. All devices work well with this platform so I don't have any issues with this product. Actually, you will have a lot of useful information at your learning system. Create the best understandable projects for all your audience. You will have the clear process and interactive in all learning steps. I recommend it. We like the easy way of teaching platform. We have the opportunity to create a preference for conventionality for configurations. We can spend less time on install and have more time to deliver great online training. An easy step to analytics about anything that happens in our training area. "Make your learning be fun." The perfect solution for learning and training. I'm glad that all information secure and encrypted channel for all communication. The great way of LMS which I can create as I want it. With social integrations, I'm making my presentations and videos much simple for using and understand. Also, I have the best way to build excellent courses with little effort. I don't have any big problems during the session. I can be sure that all my introduce about the product will be with good quality. Also, I don't have any issue with access from mobile. I will recommend that software to you. You will have the better chance to build your learning project which will make all audience success. All process will be very interactive and will consist a lot of important and useful information. More useful and understandable system which gives a good opportunity for the learning system. Much better to be with all my employee in good communication. Simple analytics about everything that happens in our learning surrounding. We have an easy and wild way of training platform. Hi Burton, thank you so much for taking the time to share such an awesome review on TalentLMS! "TalentLMS is an excellent, very simple platform for learning and management!" TalentLMS is very easy to use and has many functions that we needed, and even those that we did not count on. Other similar resources have much less functionality at a high cost. Good design. Excellent support service. If we talk about cons, then sometimes the interface can be badly configured, but no other LMS will ever be fully customizable, so it can not be considered a disadvantage. As I have already mentioned, the e-mail support service is fast and complete, but sometimes there is an urgent need to solve the problem, and I would like to be able to contact directly. I spent a lot of time comparing various LMS options, both free and paid, and settled on TalentLMS. When you see what opportunities and quality of service you get for your money, you make the same choice as me. This is the best option in terms of costs and benefits. We used this software including for internal training - improvement training and training courses for new employees. Hi Tyson, thanks for taking the time to review TalentLMS and for sharing such a positive experience! In regards to the interface, we're working hard on making it even better and improvements are constantly being rolled out with every update so stay tuned! I like how easy it is to share content on TalentLMS. There are a lot of layouts and customization options available which is probably the best feature. It also lets you create multiple courses in the same account, which is very helpful from a Tutor point of view. The configuration options are so well put that it makes you feel like you have your own brand of things. My biggest complaint would be that it has no phone support. I often have to go to different locations to Tutor and don't always carry my laptop. In those times, it is very hard to keep up or share notes with others with that ease. I would definitely recommend using it on your laptop or personal computer. Often for sharing tutoring based content with my students. I also use it to manage some of my own projects. It has definitely helped me shape my ideas better and share them more efficiently. Thank you so much for the great review. We're glad to hear you're enjoying the customization and content sharing features! Even though our mobile apps are designed for learners to take courses on-the-go, you as an admin would still be able to access the platform and share courses on-the-go by using our mobile compatible version through your mobile browser. If you have any further questions our support team is always happy to help. Thanks again for sharing your experience with TalentLMS! "Excellent LMS with a great price!" There are many things to like about talentlms however, the most interesting feature of talentlms for my company is the branches feature which allows me to create different branches of my Elearning portal for other companies who would like to use my course-ware for their students or trainees. Clients are able to use there own logos and themes instead of using our company logo and themes. With talentlms we are also able to control what each branch is allowed to see and what permissions are allowed for their administrators. So, this is by far my favorite feature although there a tons of other great features like the ability to integrate with other products. At the moment there is nothing that I dislike about talentlms, although I don't believe there's anything in the world that's perfect. I'm sure if you use any product long enough you will find that there is something else you might need added. It just depends on your needs. For my company it works great for our needs. I'm actually not working on any problems at the moment. If there was a problem, talentlms has been very helpful with helping me solve it. Benefits of talentlms are limitlms. It also, depends on your creativity I would say in customizing your LMS and for what purposes you will use it. "Super easy to use learning management system"
Talent LMS has a lot of amazing features. I think that my favorite is that it presents everything in a game-like mode, which makes it really fun to browse learning based content considering that it is so easily customizable! I also love that it is so easy to setup and use. I find it a great tool to connect with more people and market my learning based content regarding tutoring sessions. The video integration in Talent LMS is not good. I have also had issues with tech support and customer help for this as I've had to wait for an exceedingly long period of time to receive help in resolving issues. It is a great tool to use if you are in the tutoring field! I highly recommend it. Mostly for marketing my tutoring sessions and sharing college based content with my fellow students. I have realized that it is very easy to use and I think more people should use it. It's difficult to choose one thing we like best. We did a lot of research when it came to choosing an LMS platform, and decided on TalentLMS because it had everything we needed in terms of uploading videos and sharing files, issuing various quiz formats and assignments, and video conferencing. The interface is also incredibly easy to use for administrators, instructors and learners alike. The fact that it can be easily integrated into Woocommerce also makes our jobs a lot easier. And as we cater to a mostly Mandarin-speaking audience, we were even happier to learn that TalentLMS is accessible in various languages and can be customized to our look and style. We haven't run into any major hurdles that we couldn't figure out. The account came with TalentLMS online lessons already in the catalogue, so referring to those was very helpful in answering any questions we've had so far. When developing our online courses, our main concern was finding an LMS that would be able to do everything we wanted in terms of video uploading, quizzes, assignments, and online conferencing. TalentLMS was able to check all those boxes, and it also addressed issues we hadn't considered before: ability to integrate into our own website, function under our own domain, customization, etc. It is an amazing Learning Management System which has awesome features like providing certifications after a course has been completed, providing tests and surveys which are very helpful for students, and providing course content in the forms of games which students find quite entertaining. It also has PayPal integration at the payment option which is really handy for a lot of people. It is consistent and reliable. It is an absolutely amazing source and there is nothing that I dislike about it other than the price, which can be quite expensive for some people. But it is still totally worth it! Pay the price because it is totally worth it. Also make good use of the free trial version. I use it to publish my notes and share codes and course content with my students. To be completely honest, I have never liked any other learning management system more than this! Thank you for reviewing TalentLMS, we really do appreciate it! We are glad to hear that it is your favorite LMS and that you are enjoying all of the features of TalentLMS as much as we do. Many thanks! "`From zero to content in no time"
Best feature of TalentLMS is that you can start adding content and creating courses from the moment you sign up. Everything is already set up so you can start being productive from a get go. Editor can be sometimes finicky, but it is all HTML/CSS so it is very easy to adjust the styling and layout. We recommend TalentLMS to any small business that needs to up-skill and train their staff. As a small remote company we needed a place to train and up skill our staff. We started with a free open source, host your own, solution, but quickly decided that we just want something that works out of the box so we can dive straight into creating our courses. Hi Zdravko, and thanks for taking the time to review TalentLMS. We’ve worked hard to make our platform as straightforward and content-oriented as possible, so it’s great to know we’ve been that successful. Thanks again! The great and fast product, I like to work with it.Also, it is easy to set up. Simple and clear analytics about everything that happens in the environment. Very good software. Perfect Software. No time to think about the hard side of that product. The solution is easy to understand and use. I don't think that a lot of people will struggle with it. They will enjoy to use it. I recommend it to you. The software is completely easy to use. All of the steps at work become more interesting and smooth. The product is available and we also see always updated on it. Nice value for the cost. Save much working time.I can be closer to my customer. I can quickly edit units and add them to the curriculum.Allows to us to spend less time taking courses online. Better to give more attention to our clients. "Solid platform and excellent customer service"
I so appreciate the great customer service. When I send in a support request, I usually hear within a day or less. I have called a couple of times and actually spoke to a person - a rare thing these days! I wish that it was easier to control who can register for which classes and how many people can register for a class. Right now, someone can still buy a class, even if there is a pre-requisite. I would prefer that it would block them from even buying the course, if they have to complete another one first. We would also like to be able to control the number of registrations per class, and we can't do that. We are using TalentLMS to launch a community teaching program. We are launching it at the beginning of the year, so we have not seen the benefit yet, but are hoping for one! Hi, Megan, many thanks for your kind words! Our support team is working very hard to keep each of our customers happy, so we’re always pleased to hear how good a job they’re doing. Thanks for your suggestions, we'll be adding a note before someone purchases a course which informs users that there are prerequisites. As for the rest of your suggestions, feel free to contribute to our ideas base and help improve the overall TalentLMS experience. "Great place to build and host your courses"
I spent a lot of time trying to choose the right tool, and ultimately evaluated nine "finalists" before landing on TalentLMS. I really like the flexibility of the tool to white-label my courses and I found the pricing options to be the best as well. I wish discussions were better integrated into the course modules themselves, they appear to be a separate entity, but they will still definitely work for our purposes. Overall I am still getting used to the interface. I have a lot of experience with Udemy, which I find a bit more intuitive in terms of back-end management, but I'm finding all the functionality I need. Start the free trial and play around. I am hosting a course for Corporate Changemakers who want to work to make new ideas happen inside their organizations. I find it to be a great platform for this. "The Best Training Platform "
What I like about TalentLMS is that all of our company’s training course are all online for us to complete. Which means we can also complete training when we are not in the office. I also really like how all of the airline bulletins and company news letters are added so we can quickly access any of that. One other thing that I really enjoy is that it has a mobile app so you can use it on the go!! We solved the issue of employees not completing their online training but now with TalentLMS they can use their mobile devices if they don’t have access to computers at home. There are many benefits such as the airline bulletins and company newsletters which we can access if we need to. If we are unsure about anything can grab our mobile phones and refer to any training material which is a great plus. Hi! We appreciate the positive review and your enthusiastic feedback. We’re very glad TalentLMS has worked out for you. Many thanks! The setup process is a breeze and it takes less time to adapt it to our learning tools. One of the best parts is to let users register for our internal courses and get account profiles themselves, this has removed some manager headaches as now our managers can focus on their most important tasks. Also the user access logic is very well designed and it lets us to select what type of accounts can do what. The company doesn't offer free ssl setup, which is a bummer for us since we are looking for to secure our access point. If they provide free ssl setup with any premium account without a hassle then I think it would be the best LMS out there. We mainly use LMS with our in school courses. And it solves our course management issues and grading. Hi there! Thank you very much for the great review and for recommending our platform. Ease of use and customizable access control are two things we’ve aimed for since the beginning, so we’re happy to know we’ve done a good job. Regarding SSL, you can add your suggestion to our ideas base for future consideration. Thanks! "A full-featured, scalable, professional LMS"
TalentLMS has it all to get started as an independent online course provider: payment options, course menu, automatic approval, progress reporting, and an easy-to-build-courses approach that allows for engaging, interactive learning and, most importantly, highly satisfied clients. I like everything. I haven't found any feature missing from the admin or user side, nor have I found anything without the option to personalize or enable/disable. If you need an easy-to-use, affordable, and scalable LMS solution, with many customizable features, this is it. I am launching my own online academy this summer (July 2018) at www.AcademiaCanada.com, so I need a powerful LMS that is easy to use, affordable and packed with functional features. My resulting TalentLMS offering looks professional and awesome: http://my.academiacanada.com Indeed, you'll note it all looks seamless with fully-harmonized design features. Hi, Miguel! We’re very excited to hear that you have taken full advantage of our product’s many features and capabilities to launch your very own online academy. One of the reasons we have made TalentLMS so user-friendly, flexible and affordable was to provide a cost and time effective solution to the entrepreneurs out there who start small but think big. Thanks again for your positive review and good luck with your venture. I like this cloud based learning management system as it allows me to store most of my important materials online and has eased the sharing process with others for meetings. It is easy to incorporate various training related videos for new employees, and the video conferencing feature is amazing as well. The customization templates are really good as well. It is hard to remove an account and it does not walk you through the entire usage process. To understand all the features provided, you have to dig through by yourself without any decent tutorial. I haven't found the customer service very impressive either. I would recommend students to use this for this class management. To upload training videos and e-commerce. I like the templates that are provided as it helps develop your creative base as well. "We truly believe that it is the platform for our future growth." We can run our online virtual and on-demand courses from here, as well being able to have participants of face to face training register from the same place. It holds all of our training content and we can open up and restrict access as required. It also allows us to create client specific spaces, with the content designed for them. It's difficult to dislike anything about TalentLMS. The user experience is great and the service from the sales and support team are excellent. TalentLMS has allowed us to reduce our TCO for provision of training services and has allowed us to modernize our approach to training provision. Using the integrations with payment gateways, we are now able to expand our services to clients in other regions more effectively and can include direct individual subscribers in our service model. Thank you for the enthusiastic review. Great user experience and excellent customer service are two of the things we constantly strive for, so it’s good to hear that we’ve nailed it. Thanks again, and best of luck with your work. It's easy accessibility and brilliant features help in improving e-learning by making it much more collaborative and interesting. I love how easy it is to customize your courses and keep a track of the associated students with the class. Great tracking features as well. I haven't found anything in particular to dislike about this. It has made communication very easy and works well on different devices as well. A good walk through to make the best use of it would be nice for new users. Definitely recommend more education management industries to incorporate this into their work environments. We have found that it has made online learning and e-tutoring very easy for both the teachers and the students. It has made education more interesting and improved the number of participants. Mikeala, hi! We firmly believe that learner collaboration and engagement are critical to a successful educational experience. That’s why we’re always happy to hear that TalentLMS has helped a client achieve those objectives to the desired degree. Thank you very much for the positive review. Talent LMS is so easy to use, I absolutely love it! It is flexible, easy to adapt depending upon your requirements of the course you want. The free version of it still lets you create about 2 courses of your own and has a couple of pre-designed courses to walk you through the use of talent LMS. There isn't much to dislike, however, I wish they could reduce the pricing structure or allow the possibility of creating more courses of your own. A lot of people would find it very helpful. I would definitely recommend using it for sharing knowledge with all your friends! To share tutoring content and marketing my notes to others. I also use it for networking with potential influencers. It is a great software and has made my job very easy. The free version actually allows up to 10 courses. Each new account will come with 7 sample courses which you can easily delete and replace with your own custom built ones! If you need any further help on how to do this, please contact our support team directly who will be happy to help further. Once again, thanks so much for taking the time to review TalentLMS! "After a long research for LMS tools, we found the perfect one!" We were researching tools for a long time, looking at the pros and cons, licensing, usability, branding, etc, and after comparing many tools we decided to use TalentLMS. We haven’t gone live as we are building the content for our site, but we are very happy with the results so far. All the options offered by the platform have made the journey of developing a full LMS site for our company very easy. The flexibility of the tool starting from the licensing, to the ability to have different branches, themes, branding are amazing. I would definitely recommend this tool. There aren’t many things we do not like about the platform, but I could improve something, I would improve the flexibility to brand your sites as at the moment you need to be very familiar with HTML and CSS in order to brand your site. I would add a page builder that would allow us to personalize our sites easier. We offer training in Spanish for the LATAM region and we needed a tool that would allow us to provide Ondemand training with an interface in Spanish and a tool flexible enough to allow us to escalate as we need to. Other tools besides how expensive they are do not offer this type of flexibility. Adfredo, hi! Thank you for the 5-star review and for sharing your enthusiasm. We’re really excited that you’ve decided to go with TalentLMS after trying so many of the available LMS solutions. Flexibility and scalability are two of our main objectives, so we’re confident that our platform will keep making your work easier and more fun. Thanks and good luck with launching your brand new training portal! "Fantastic quality service from TalentLMS"
TalentLMS has excellent learning platform functionality, allowing us to white-label our learning courses, including the use of custom domains and customizable styling. They back up the platform with an outstanding level of customer service - always fast to reply and extremely helpful. The only thing that could be improved on the TalentLMS is a slightly more modern UX for both admin and learner. Hi, Michael, thanks for the kind words! Along with functionality, we constantly work on upgrading the TalentLMS user experience too, so keep an eye on future releases for UI/UX improvements. The design and flow. Easy to understand they have clearly separated Admin, Teacher and student. The segmantion avoids a lot of concussions. You an create a course within no time. Simple and powerful UI which can be easily understandable by any trainer and admin. As of now nothing to dislike, came across few limitations but not yet experienced. Will update soon if any. Teaching working professionals, they couldn’t spend more time in their day to day activitity. So the LMS is helpful for us to implement a training program for working professionals. Especially for doctors, nurses and other paramedics. Hi Arunprakash! So great to see that you have nothing but positive things to say about our platform. TalentLMS is a tool that’s built for busy training professionals with little time to spare, so we’re glad it has worked well for you. Thanks for sharing! It is very easy to use and easily customizable. I love that it has a strong SCROM support. It has made teleconferencing and organizing work very easy for me. The customer support is very good as well. I have had issues with downloading files in the past through this, however, the customer support helped me with it. The pricing structure is not too great either. It just let me create one or two additional courses in the free version. Look at the pricing structure and make use of the trial version before you buy it to see if it actually meets your requirements. To upload training modules, notes and for teleconferencing. It is very easy to use and gamifies everything, which is great. Thanks for the great review! Glad to hear you're enjoying all our features especially our support for SCORM files, which thanks to our latest release, has now also become available to our mobile apps! Thanks for your feedback regarding our pricing structure, we do try to offer as much flexibility as possible with a combination of unlimited user and standard plans that start from $29. We also offer a forever free version which actually allows you to build 10 free courses. Each new account comes with 7 sample courses which you can delete and replace with your own custom built ones! If you need any help on how to do this, please contact our support team directly who will be happy to help further. Again, thanks for sharing your experience with TalentLMS! "Great features and easy to use"
TalentLMS has a very user friendly interface, and the features to be able to present your training in a way necessary for your business. Nothing I can think of. I am able to configure my training portal to present training for a product line with a lot of available options. Our company used to train our customers either at our facility, or at the customer’s site. We now have 350 courses available in our TalentLMS portal. Our customers start training before the equipment is installed, getting the equipment into production quicker. Also, customers can rewatch lessons when necessary saving them from contacting our service department. Hello, Doreen! Thank you for the enthusiastic review and the 5 stars. We’ve built TalentLMS to be flexible and cover any scenario including customer onboarding and continuous training, so we’re just thrilled it has worked so well for you. Thanks again! "Deliver content to whole the company"
The system is running on a standard LMS file, so you can found and upload content not onky from talent but from any other LMS source. The system is able to merge in a single project also different king of standard file like word pdf jpg etc. Thanks to feedback from customers like you, we've been able to tackle the issue you're mentioning with our latest product updates! We've significantly simplified the process of configuring an SSL certificate on a custom domain (http://support.talentlms.com/knowledgebase/articles/1097950-custom-domains-and-ssl) and the user management process has also been improved. Reducing the time it takes for our users to set up their LMS and go directly into production is a KPI we're committed on constantly improving. Once again, thanks for sharing your experience! It is easy to use for an administrator point of view and provides you with a lot of templates to publish your work. It reminds you of the tasks which need to be finished, which is always good for students. It is also very easy to set up. It is not easy to buy a lot of courses at the same time. That can be troublesome sometimes since a lot of courses are interconnected with each other. It is not expensive at all for the features that are provided and I absolutely love it! I use it to publish notes for students. It is very easy to use and the support provided by the team is amazing! "Great product; excellent professionals to help you use TalentLMS most effectively"
1) It would be very useful to have the ability for our employees to electronically "sign off" on attestations that we have uploaded into the LMS. We have been able to meet compliance requirements because of the TalentLMS platform. We are able to track the completion of each course and then reassign when appropriate. This tracking feature allows us to save resources because we know when the employee needs the specific training/attestation. "Very easy to use and hass all the features for delivering Australian Qualifications"
"friendly interface for online courses"
I like how customizable the lessons are on this platform. You can simply just upload PPT files and videos, which is what we do. I also like that this LMS allows for multiple courses within one account. We have around 3 or 4 online courses for our users, and it allows for the best bang for the buck. The registration process for new students is not as intuitive as I would hope. We have to explain in detail how to register every time a new student wants to take a course. Also, it seems that giving Admin access to other users has created some issues within our team. Meaning, we haven't figured out yet how to give full access to more than one person, which is needed sometimes. Just make sure you give instructions to users on how to register and get started. No need to frustrate anyone. It is possible for new students to get confused with how to start, especially if you have multiple courses you are offering. We have to train a large number of people, and this LMS lets us just send them the link and they teach themselves, and then we get notified when they complete it. Simple! Also, since we are using many different courses within one account, it's much easier to manage all the Users and Lessons within one login. * We monitor all TalentLMS reviews to prevent fraudulent reviews and keep review quality high. We do not post reviews by company employees or direct competitors. Validated reviews require the user to submit a screenshot of the product containing their user ID, in order to verify a user is an actual user of the product. Hi there! Are you looking to implement a solution like TalentLMS?